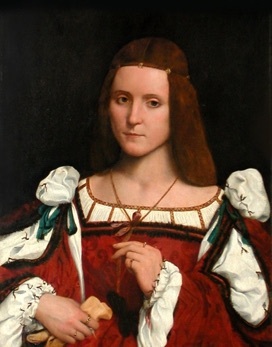 Isabelle d’Este took a major part in the Italian Renaissance. Kind and supportive to artists, she welcomes you to discuss any topic related to old Hp or Ti...calculator repairs. •Hp-970A: An Instrument for a Lifetime. •Topcat (Felix, Bobcat & Kittyhawk): Replacing the printer iddler gear. - Repairing/replacing the zebra connector. - Alternatively using IDE cable to repair the zebra connector. - Wiring a Quadmem Ram module in the calculator. - Wiring a Rom module in the calculator. •SR-52: card reader capstan repair. •Cj, Keeper & Capricorn: tape wheel re-creation. You may reuse whatever you wish in these pages without even notifying me. But any use for commercial purposes is strictly forbidden.